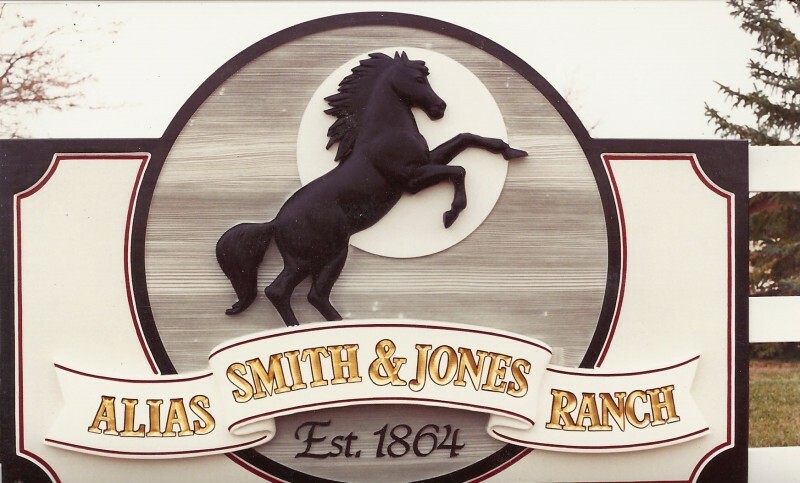 Measuring a whopping 4′ x 6′, the Alias Smith & Jones sign is the largest residence sign in Paxton Signs’ Gallery of Signs (most residence signs top out at approximately 18″ x 36″). Not only is the sign larger than the average residence sign, it also is more elaborate, with gold leaf embellishments and hand-carved features, specifically, the stallion, carved letters, a dimensional banner, and a circular sand-blasted background. 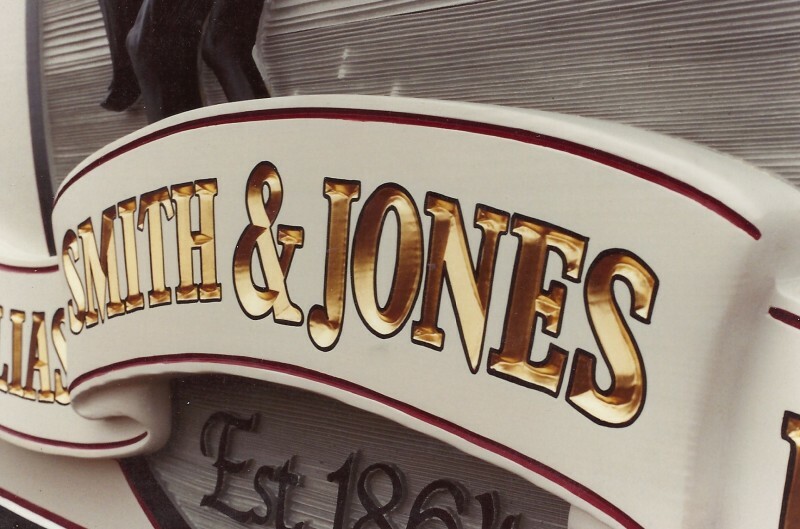 The sign, shown below, is actually the second edition; a replacement for the first sign that was designed and built by Paxton Signs in the late 1980s, but later damaged by a delivery truck in 2009. Fortunately, for the owners, the delivery service’s insurance covered the loss of the first sign. Paxton Signs’ more than 37 year history includes hundreds of signs. Some are major monument signs, some small business signs. We’ve created ranch signs, lighted signs, signs made from recycled wood, hand-painted signs, carved signs – a continuous variety of communication art.